Because our chemical environment affects our physical and mental well-being, it is a matter of increasing concern and is therefore attracting much research effort. This timely collection of essays highlights current developments in the field of environmental toxicology. Chapters analyze the carcinogenic, mutagenic, genotoxic, and neurotoxic effects of both anthropogenic and natural toxins in the soil, air, and water around us, as well as in our workplace and diet. 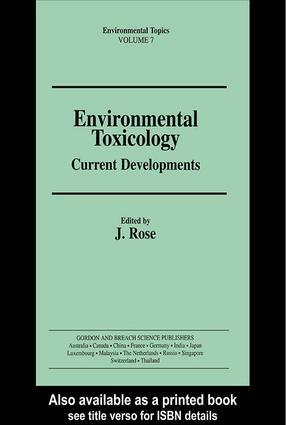 The book also examines the effects of toxins on other organisms, as well as the techniques, policies, and management strategies employed in studying and controlling environmental pollutants. It will be an essential reference to a variety of personnel in environmental studies and public health.